Roberta Mae Rupert, 74, of 798 Gordon Grove, Saint Marys, died August 15, 2018, at Otterbein Saint Marys Retirement Community. She was born December 24, 1943, in Dayton, Ohio, the daughter of Robert and Evelyn (Erbaugh) Baker. She married Darell Rupert on July 12, 1969, at the Antioch United Methodist Church in Brookville, Ohio; he survives at the residence. She is also survived by her children: Darlene (John) Donovan of Wapakoneta; Travis (Lori) Rupert of New Bremen. She is survived by her siblings: Carolyn Stall of North Grosvenordale, Connecticut; Deborah Campbell of Manheim, Pennsylvania. She is survived by 2 step-grandchildren: Joshua Drexler and Brian (Megan) Drexler; by 3 step-great grandchildren: Abigail Imwalle; Everleigh Drexler; Kenley Drexler. Roberta was a 1962 graduate of Trotwood-Madison High School. She earned a BA from Miami University in Oxford. She retired from New Knoxville Local School district, and she also worked as a substitute teacher in Auglaize County. She was a member of Grace United Methodist Church in Saint Marys. 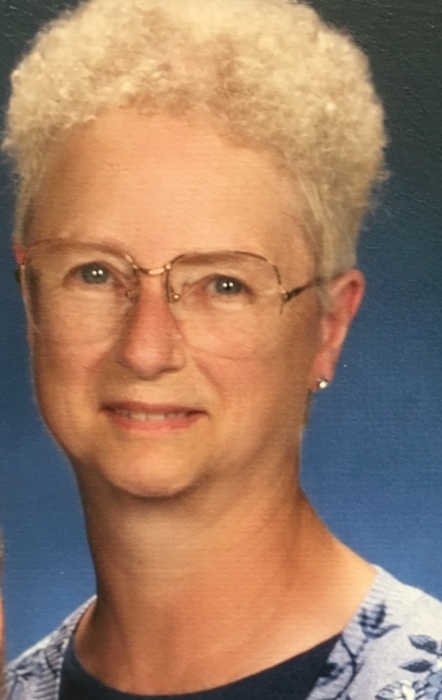 She had formerly belonged to the First United Church of Christ in New Knoxville, where she had taught Sunday School and Catechism for many years. She enjoyed reading, camping and traveling. Funeral rites will be held 10:30 A.M. Wednesday, August 22, 2018, at the Miller Funeral Home, 1605 Celina Road, Saint Marys, Pastor Bev Hurlburt, officiant. Burial rites will be held at 2:30 P.M. Wednesday at Dayton National Cemetery. Friends may call from 5-8 P.M. Tuesday at the funeral home, where memorial gifts may be given to Neurological Development Center, PO Box 117, Burkettsville, Ohio, 54310.